This entry was posted on 8th March, 2011 by Haxnicks. 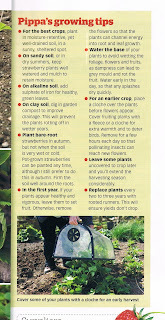 Pippa's done it again and we can't thank her enough... in her segment 'Pippa's Growing Tips' in Gardeners World Magazine there's a lovely photo not of Madeleine Cardozo (author of Down to Earth) this time, but of Pippa herself with a Haxnicks Kitchen Garden Cloche. Now we're not saying this is the only possible cloche available to help protect young fruit and vegetable plants in the garden, but it is convenient with an elegant handle. Also Pippa does note that Fleece or Cloches can be used and we assume that to mean Tunnels - of which we have plenty! 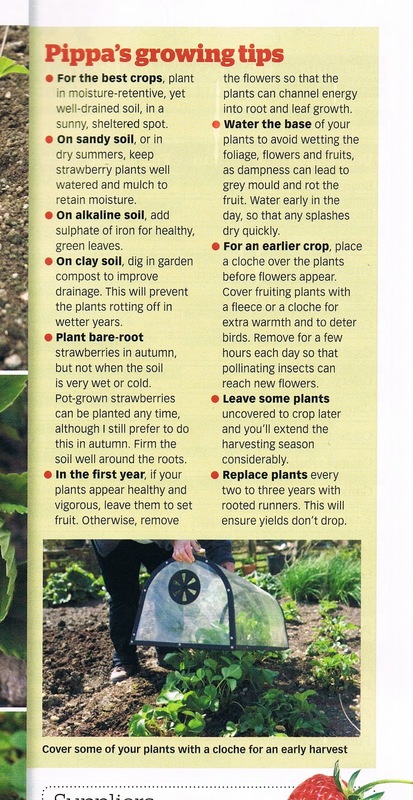 We recommend you visit Pippa Greenwood's website for dozens of tips and tricks about grow your own veg. Her Books, Blog, Articles and even the Ask Pippa service are all listed here - please do take a look - http://www.pippagreenwood.com. Recently Haxnicks have had some excellent coverage in the press and we hope you the customers are able to get the results you want, we're always delighted to hear your successes and failures (not too many we hope). Remember, if your local garden centre doesn't stock the items featured, visit our shop to order online, or call 0845 241 1555 to speak to one of the members of our friendly sales team.